Today would have been Hildegard's 77th birthday. Few singers have influenced my life and love of singing as much as this great lady. It's hard to believe that this August she will have been gone five years from us. But this is not a mournful post, but rather a celebration of her birth of one of those singers who became a polarizing force in the world of opera. People loved her, people loathed her and, often there was not much room in between. For me, Behrens' voice was one-of-a-kind; instantly recognizable and, as with the most committed of singers, always in search of how best to serve the composer. It's interesting to me how, a few years now after her death, whenever I play her recordings for friends, the almost universal comment is, "I don't remember her voice being this beautiful," a sentiment I, who have always found that voice so beautiful, have difficulty fathoming. But, I'm just glad they do. 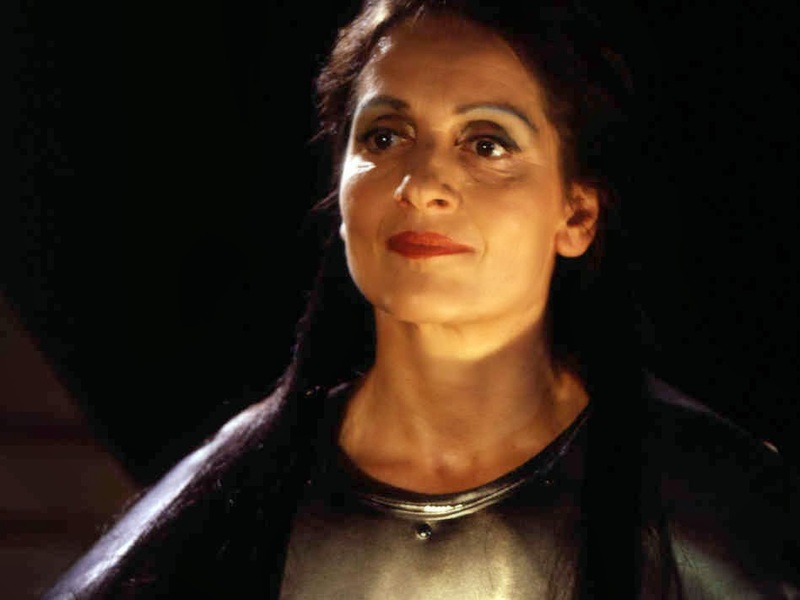 There were so many roles I adored her in, but none so much as the one that introduced me to her: Salome. While I grew up on other singers of the role - great ones to be sure - Behrens was the very first who made me see and hear the depraved Judean princess as a girl, and that, my friends, changed everything. There were so many touches I'd never before heard, and I recall anticipating how she would belt out that first great phrase when her bloody prize emerged from the cistern. "Du wolltest mich nicht deinen Mund," - here, most sopranos deliver the moment with either a sense of exaltation or horror movie terror . . . effective either way but with Behrens you get both . . . each one simultaneously in an explosion of sound that, naturally, changes the course of the rest of the opera. Throughout Strauss' remarkable music Behrens sweeps through combining exquisite, silvery lyricism then ramping it back up with dramatic explosions of near volcanic proportion. I'm ranting on (as usual) wanted something up here today to honor the birthday of this amazing singer who, right up until the day she was taken from us, was still filled with the joy of music, singing, working and teaching young singers. You may be gone, but Happy Birthday, Hildegard . . . and danke danke schön, dear lady.